What's the greatest invention of the modern age? It's not fast food, it's not cell phones and it's definitely not Twitter. We say the greatest invention of the modern era is the t-shirt, and this Bayside 5100 BLK Black Cotton Short Sleeve USA-Made Men's Work Shirt ... (see full details) (see specifications) #BAY5100BLK. What's the greatest invention of the modern age? It's not fast food, it's not cell phones and it's definitely not Twitter. We say the greatest invention of the modern era is the t-shirt, and this Bayside 5100 BLK Black Cotton Short Sleeve USA-Made Men's Work Shirt is one of the best examples of why that's true. This all-black shirt has a classic style and a standard look. But when you stop looking and start wearing, you'll understand why we've decided to make an example out of this fantastic, fashionable t-shirt. It's made in the USA with 6.1 ounce, 100% heavyweight cotton. Heavyweight cotton is even more durable than average cotton. That means this American made shirt stands up to regular wear and tear, and even to the washing machine and dryer. 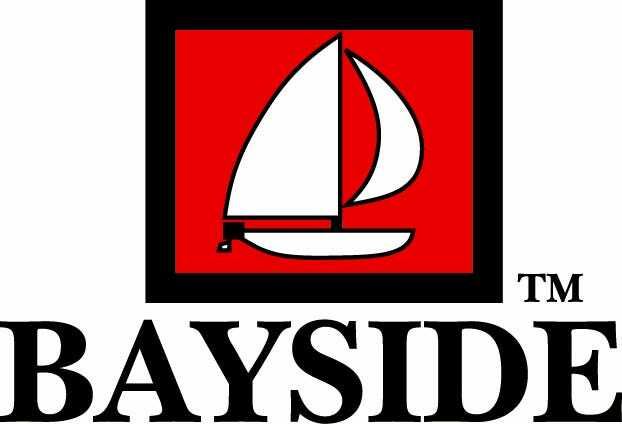 You see, this Bayside shirt has already been preshrunk to keep the fit true. How many shrunken-up work shirts have you shoved into the back of your drawers over the years? This men's shirt is made to never join those others -- you'll be too busy wearing it to get it all the way to the back of a drawer. Made in a full-cut design, this comfortable Bayside shirt fits well and feels good even when you're working and moving around. Shoulder-to-shoulder taping keeps the fit wide and comfortable across the back. Double-needle hems finish the design of this USA made shirt to keep the edges tough and fray-resistant. The hem stitching is made with two threads, not just done, to double the strength of every hem. We could give you lots of examples and tell you what you need when you go to work. But we'd rather just point you toward this Bayside 5100 BLK Black Cotton Short Sleeve USA-Made Men's Heavyweight T-Shirt. Looking for a quality, "Made in USA" product, for a reasonable price. This is it. Awesome tee shirt, Nice heavy weight, fits well. Comfortable in all seasons. Worn as either an undershirt in winter or a comfortable and presentable Tee shirt in the summer. I have a few of these now and one has had the stitching where the seams join under the armpit loosen up. The other shirts are holding up nicely. I would recommend this shirt to anyone looking for a good long lasting shirt. My boys go through t-shirts like they are going out of style and I actually got tired of paying a fortune for shirts that they beat around and destroy on a weekly basis. I am not saying these tops are amazing or will withstand they destruction of pre-teens but I am saying that they are cheap and I don't cry when they only last for a month or two. I go through t-shirts like runners go through socks so in time I got tired of spending a small fortune on them. I use them underneath body armor and work some days up to sixteen hours. Most wear out, fade, stink so bad and just fall apart. I am not saying these won't but for the price I can just toss them out. Bayside Shirts: Men's Black 5100 BLK Heavyweight Short Sleeve USA-Made T-Shirt is being added to your cart.